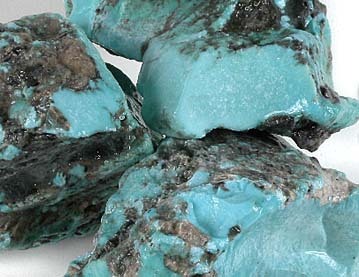 Our Large Campitos turquoise will cut huge, beautiful matrix-free stones. 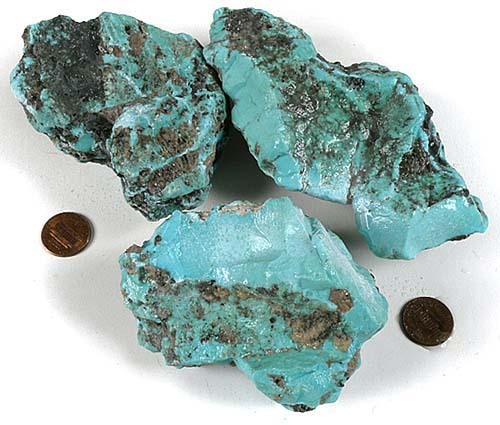 It is a little lighter color may have a tiny greenish undertone when compared to the other Campitos material on this page. Some pieces have a nice light robin's egg blue. All pieces will make fine slabs and carvings and will cut fabulously large matrix-free stones! 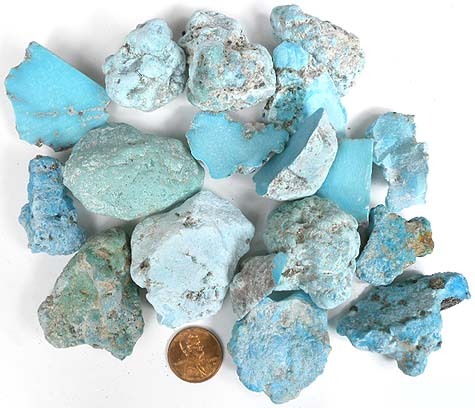 The close-up photo to the right shows the nice, clean color of our Large Campitos turquoise.